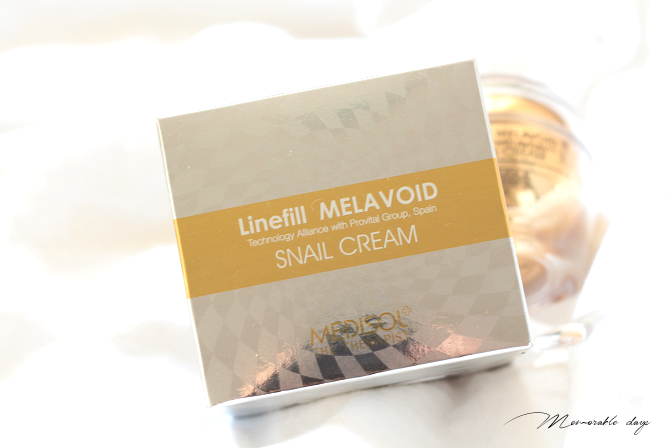 Review: Medisol Linefill Melavoid Snail Cream & Syn-Ake Cream | Memorable Days : Beauty Blog - Korean Beauty, European, American Product Reviews. 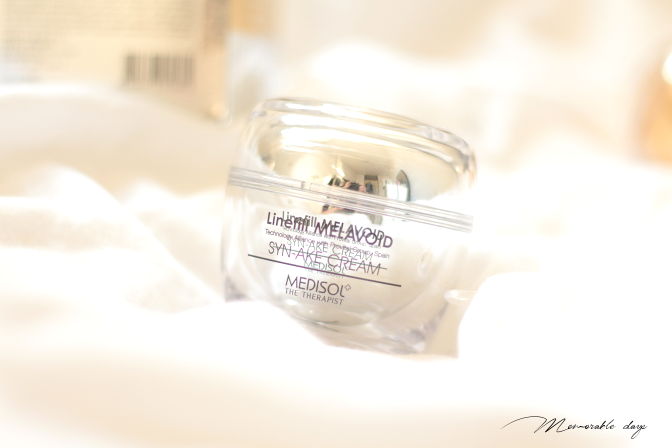 In today's blogpost I am going to review two products of the brand Medisol, The Therapist. It was the first time that I heard of this brand to be honest. These two products were sent to me for review purposes by Glamour Flare. When I saw that they sold a snail cream and a syn-ake cream I just had to try it out. 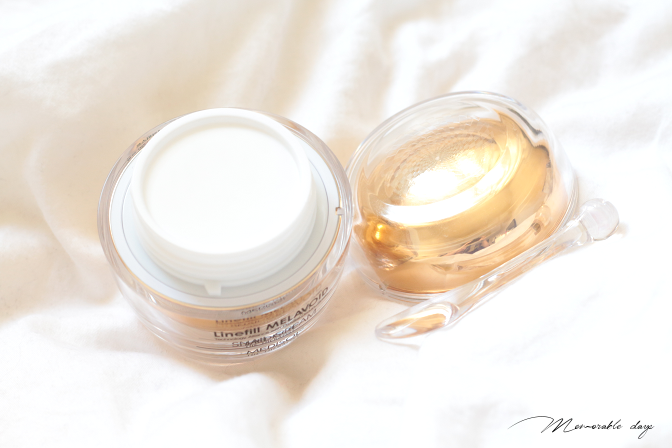 I have been trying each cream for 3 weeks and I can finally share my thoughts about it. Firstly, a short introduction of the brand, Medisol. Medi - from the Latin medicina, the art of healing, denotes the healing properties of the brand. Sol is short for solutions. Together, Medisol uses the art of healing with technical innovations to provide solutions for those with troubled skin. Medisol is a part of Bonne, Inc., which is a one of the leaders in the development of innovative cosmetics. Bonne, Inc. also created brands like Touch in Sol, Miracle Island and Nature Secrets. Medisol is a clinical concepted skincare brand for the sensitive skin. They started in April 2012 and has introduced a lot of products in the market which provide solutions for problems such as whitening, pore-problems and fine-lines. This with help of well-known dermatologists and the Provital group in Spain. 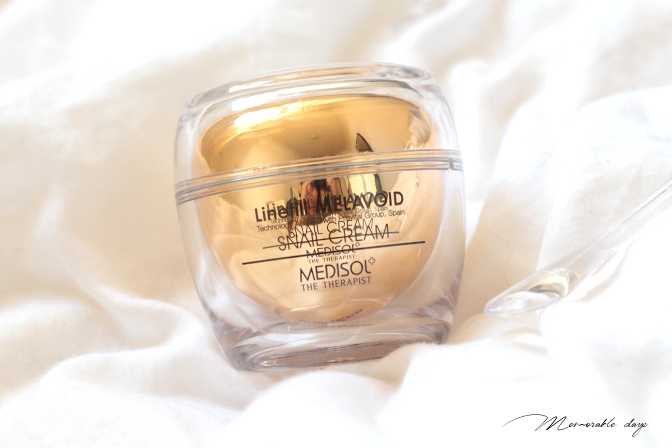 The Medisol Snail Cream will moisturise your skin, reduce the visible effects of ageing and allow your skin to look youthful, yes girls, this is an anti-aging cream! This cream includes natural ingredients, and is free from parabens and other harsh chemicals. The active ingredients work to improve the look of wrinkles and fine lines, transforming your skin and restoring its radiance. This cream includes 3 natural ingredients that moisturise the skin, and give more volume to areas that have lost their shape due to ageing. One ingredient is Snail mucus filtrate, and this improves the supply of water and nutrients to the skin. Leaving you with skin that is hydrated whilst locking in moisture. 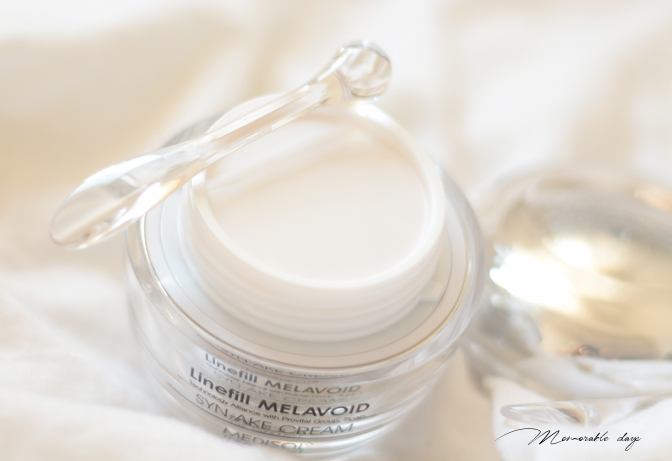 Working alongside the Snail mucus filtrate is Melavoid, found in plants, this is a nautral lightening agent that targets uneven skin tone and dark patches. Sounds great right? The packaging of the cream is gorgeous! The golden look makes it look chic and expensive! It contains English as well as Korean descriptions on the packaging. 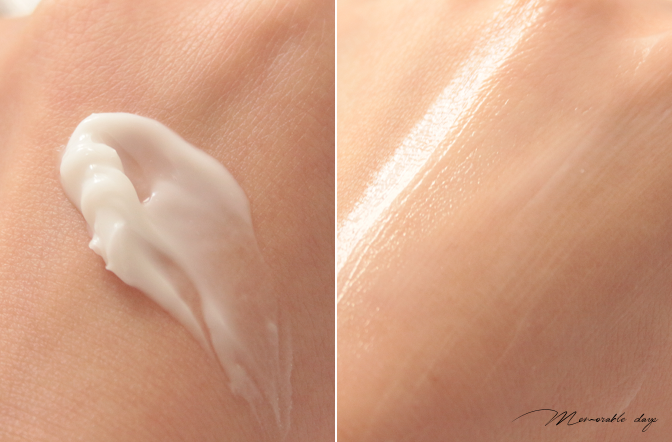 To apply, place a small amount of the cream onto the palm of your hand and then spread the cream across your face. 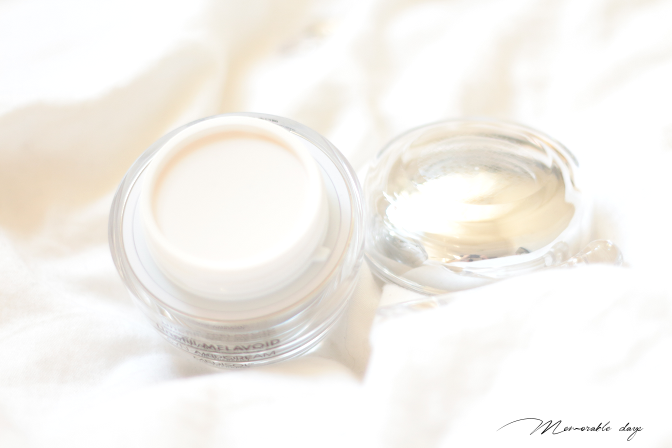 GlamourFlare recommends to use circular motions to apply the cream. For the best results apply before bedtime. This cream has a strong floral scent which I am not a massive fan of. You either love this or hate this. This cream has a light texture and is easy to spread. It is slightly sticky after application but after a few seconds this feeling will go away, leaving the skin moist and plump. I like it that this cream feels very fresh on the skin, it has a bit of a cooling effect, which is great for night time. It moisturizes my skin, leaving my skin looking plump in the morning. It's easy to spread but it's slightly sticky after application. The strong floral scent is the only big thing I don't really like of this product. Unfortunately, it didn't do much on my skin after 3 weeks usage neither, I couldn't see any noticeable changes. Overall, I don't hate nor absolutely love this cream. However, I wouldn't purchase this cream again just because of the strong scent and also because it didn't do much on my skin. 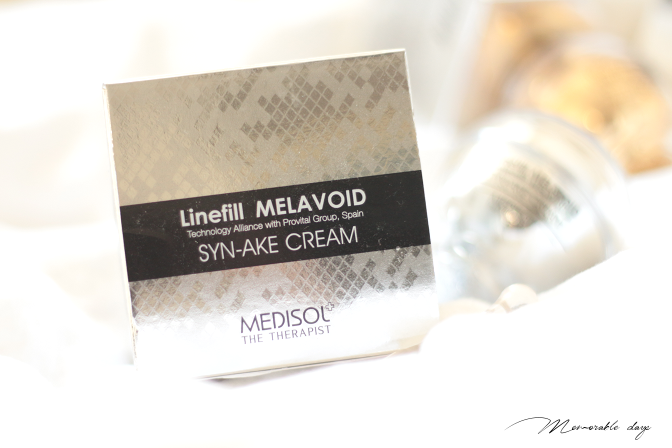 Medisol Syn-Ake Cream contains ingredients that will restore your skin to its former glory. This moisturiser will rehydrate your skin, giving it a smooth and firm texture, whilst leaving you with a more youthful appearance. Syn-Ake is the main anti-ageing ingredient in this product, and it replicates the venom of the Malaysian Temple Viper. It mimics the effects of Botox by tightening the muscles underneath the skin and removing wrinkles. Working alongside Syn-Ake is the revolutionary ingredient Linefill. An all-in-one wrinkle filler that visibly reduces the signs of ageing. This unique formula increases the elasticity of your skin and reduces deep and fine wrinkles, making your skin look younger. 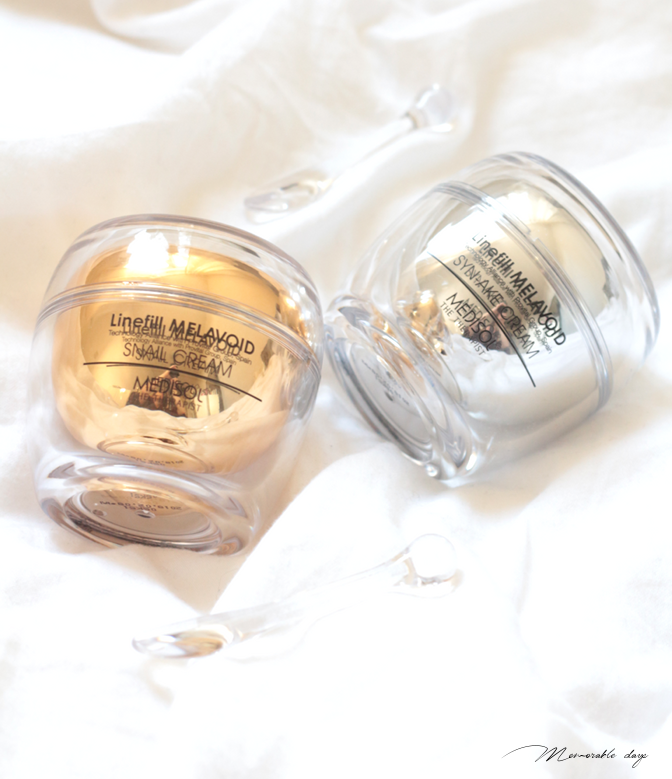 This cream also contains melavoid, an effective lightening agent, which targets dark spots and uneven skin tone. 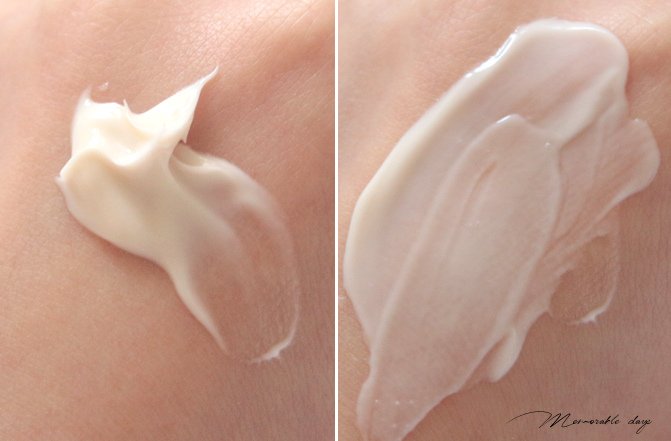 Place a dime sized amount of the cream onto the palm of your hand. There is a lovely spatula in the box so you can easily get the product out using that. A small amount goes a long way, and too much can leave skin feeling greasy. Massage the cream into the skin evenly so that it can be absorbed. For the best results apply this cream twice a day. Once in the morning and again in the evening just before you go to sleep. The cream is yellow and has a medium thick texture. It doesn't really have a scent to it which is good, but because of the medium texture it's not easy to spread. It feels moist on the skin and not sticky. It absorbs into the skin within a second, afterwards, my skin looks and feels supple. The syn-ake cream does a great job with moisturizing my skin. It gives me a plump look after application (not like a disco ball). Obviously you can't see that it has benefits for the aging process within a few weeks, so I cannot judge about that. 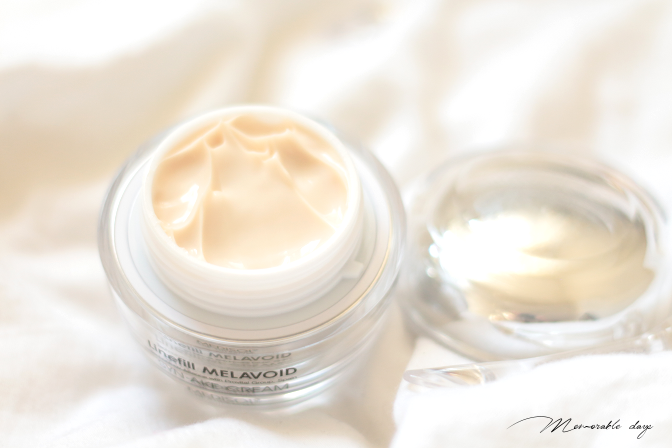 This cream is more of a night time cream to me because of the medium texture that it has. I am glad that it is pretty scentless since I don't like heavy scented products. A downside is that I do not like the fact that it is a bit hard to spread while applying and I couldn't see nor feel the firming effect that this cream should have. Overall, it's a nice cream which I don't hate nor absolutely love. These products were sent to me for review purposes and can be bought at GlamourFlare.com. The cream is sold for £30.50 each, which is quite expensive I would say. GlamourFlare is an online webshop from the United Kingdom, where you can buy make up and skincare products of upcoming brands like Touch in Sol and Medisol. They offer worldwide shipping, free for people in the UK and to other countries it is based on the weight of the products.